Parents, Are You Curious About Invisalign Teen? Here Are Answers to the Top 5 Most-Asked Questions! When people think about the possibility of straightening their teeth, the first option that comes to mind is metal braces. The idea of having a mouth full of metal can be discouraging, especially in an era where taking pictures and posing for social media is so popular. However, there is an alternative to metal wires, and that is Invisalign. 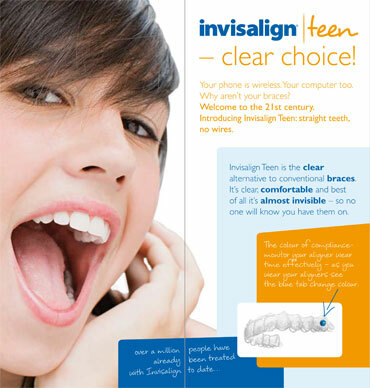 If you’re the parent of a teenager who is need of braces, look no further than Invisalign Teen. This option enables teens to experience the same outcome as using traditional braces. But metal components are swapped for clear aligners that work to correct and re-position crooked or misaligned teeth. If you have heard about Invisalign Teen and are interested in its advantages and how it can benefit your child, continue reading below for the answers to the top five most-asked questions. Is It Really Invisible? Invisalign Teen is a set of transparent aligners that offer a nearly inconspicuous way to straighten teeth. They are tailored to fit your teen’s teeth, which provide comfort and security. These aligners are ideal for self-conscious teens seeking to correct their smile without suffering from the unattractive and painful components of metal wires, brackets, and bands used by traditional braces. Using these clear aligners helps to reinforce their confidence during the process, limiting any worries or concerns. Can My Child Eat with It? Another benefit of using Invisalign Teen is that it permits young people to remove the aligner every time they eat. They can consume their favorite foods without worrying that it will damage the braces or that it will get stuck in their teeth. Teens can eat the usual foods they enjoy without hesitation. However, maintaining proper oral hygiene despite the restrictions is still crucial. How Often Do They Have to Wear It? Although the clear aligners can be taken out while eating and brushing, it is still critical that they are worn for the majority of the day. Invisalign Teen is highly effective and successful when it is worn for at least 20-22 hours per day. They consist of small blue indicators on the molar of an aligner, which lighten as they are used. This feature allows dental professionals to track its effectiveness concerning how often it is worn. Is It as Effective as Traditional Braces? Invisalign Teen can be equally as effective as traditional braces. They must be changed approximately every two weeks to accommodate changes in the teeth. However, as long as the aligner is worn as instructed, it will deliver excellent results. What is the Cost Difference? Most dental insurance plans cover expenses for the treatment, and the cost is practically the same. The staff at Thomas L. Anderson, DDS and Associates will work with you to submit dental insurance claims. We can also implement payment plans to ensure that affordability and convenience are prioritized. QUESTION: Do Invisalign Removable Braces Really Work? At Thomas L. Anderson, DDS and Associates, we pride ourselves on helping patients improve their smile. We are always accepting new patients and welcome you to contact us. Should you have any questions about Invisalign Teen or any of our services, do not hesitate to call. A member of our staff would be more than happy to speak with you.